When I was little, my family spent so much time at the pool that my mom referred to me and my brothers as her “little fish”. As we grew up, we stopped spending time in the water. It wasn’t until I moved to New York that I stepped foot back in a pool. There was a pool on the same block as my old apartment, and I was curious as to when it was open. 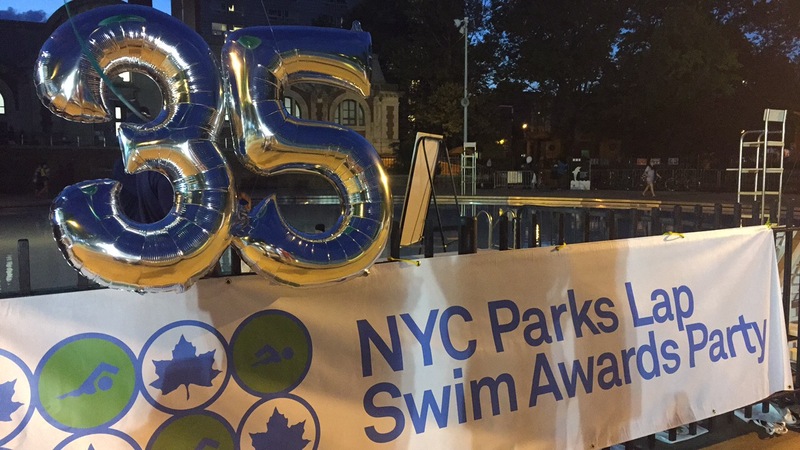 I browsed the NYC Parks website, and found that they offered free adult lap swimming in the mornings and evenings! 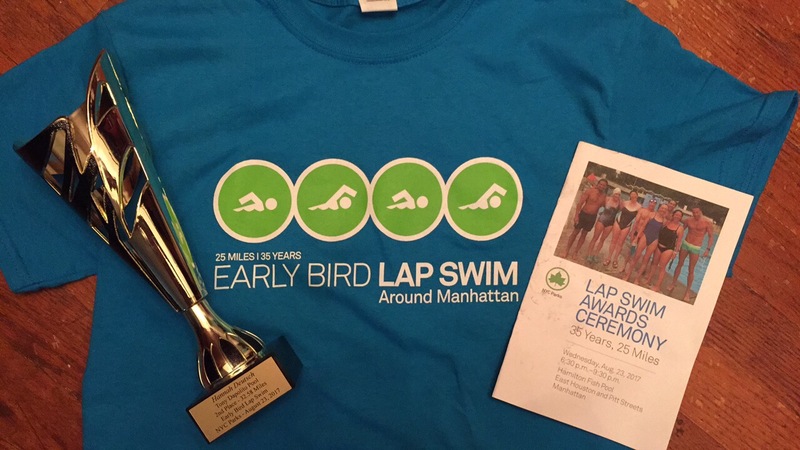 Plus, if you swim 25 miles or more over the summer, you get a free shirt and invited to their end of summer pool party! The pool on my block didn’t offer lap swimming, but there was one a short walk away that did. I quickly became one of the regular daily swimmers. That first summer I just barely made the 25 mile mark, given that I started a few days late and took a week-long trip in the middle. There’s also a lap swim competition at each pool, and the second year I finished fourth. But this year, I stayed the full hour and a half, and was able to come in second place! The pool party was last night, and I also competed in the relay for my pool (which we didn’t win but still had fun doing). Sad to see another summer gone, but can’t wait for next year! Yay summer swim! PS. It’s my parents’ anniversary today! Happy anniversary, Mom and Dad!